Franklin Matters: "her story is an encouraging reminder of just how potent, and how possible, that dream can be"
"her story is an encouraging reminder of just how potent, and how possible, that dream can be"
"Growing up in Shrewsbury in the 1970s, our weeknight dinners were pretty straightforward affairs: chicken Kiev or London broil; Prince spaghetti or tuna casserole. And while we often switched up the side dishes from Birds Eye frozen corn to Birds Eye frozen peas, one thing remained consistent — we always had Near East rice pilaf, and it was always prepared in the same Revere Ware saucepan that my parents received as a wedding gift in 1966. I loved Near East as a kid. In fact, I still do. That salty, nutty mix of rice and toasted orzo along with its accompanying paper flavor pack of onion, garlic, and bouillon. So in love was my family with Near East that when we left Shrewsbury for Cincinnati in 1979, my mother packed a case of the rectangular white boxes, with their famous wheat stalk illustrations and simple earth-tones, into our station wagon, fearing we wouldn’t be able to find it in the Midwest. 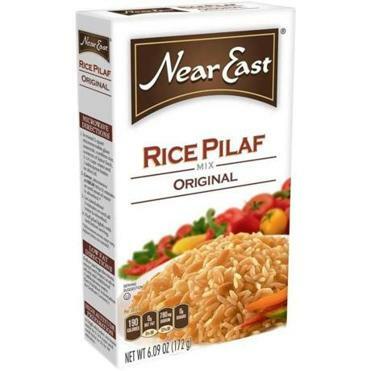 Luckily we did, and Near East remained a dinnertime staple well into my 20s, when I started eschewing frozen vegetables and pre-made rice mixes for fresh roasted green beans and arugula salads." Today, Near East is a New England staple.